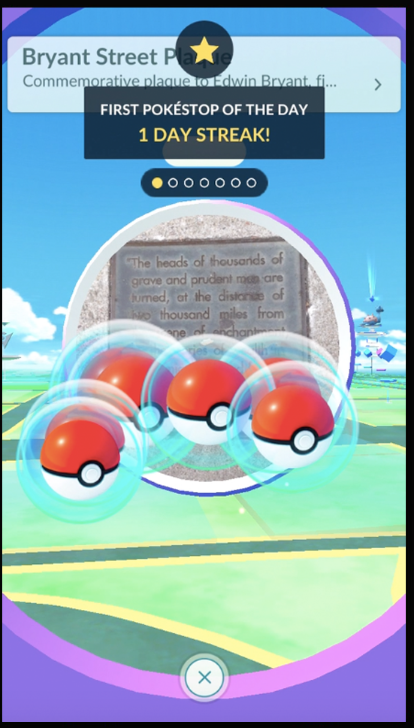 With Daily Bonuses, Trainers can capture Pokémon and visit Pokestops each day in order to receive additional rewards. 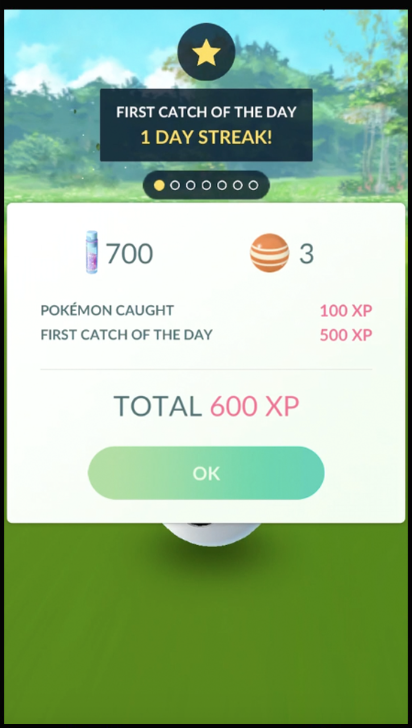 If these objectives are completed in seven consecutive days, the Trainer will receive an even larger bonus. - A greater number of additional items. as someone who'd rather have a wide variety of battle-capable pkmn, i'll gladly accept anything resulting in a higher stardust gain. Good point, you can burn through 100k of stardust at a terrifying rate if you need to get your mon to CP2000 or more.